The Maverick Hunter is an excellent fixed blade knife kit project. It comes in a satin finish, is hollow-ground and made of 440C stainless steel. It also has finger grooves to increase fine cutting control. 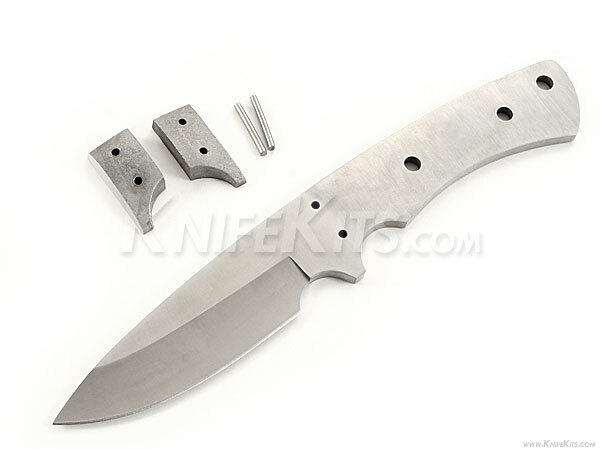 This design has terrific edge holding properties and comes with stainless bolsters and bolster pins. Properly finished, the Maverick Hunter will compete with custom knives 4-5 times its price. This is a great kit knife design for serious builders.